On my previous post, you may have read and known that I flew to Manila two weeks ago to attend a Sustainable Diner Forum hosted by WWF or World Wide Fund for Nature. It was only a whole day session but I spent two extra days there. My flight to Manila was on an early Monday morning together with Philip of CebuFinest.com, the forum was set on a Tuesday, and our flight back to Cebu was on a Wednesday evening. Where we stayed throughout the entire trip was at the new and beautiful Seda Vertis North. 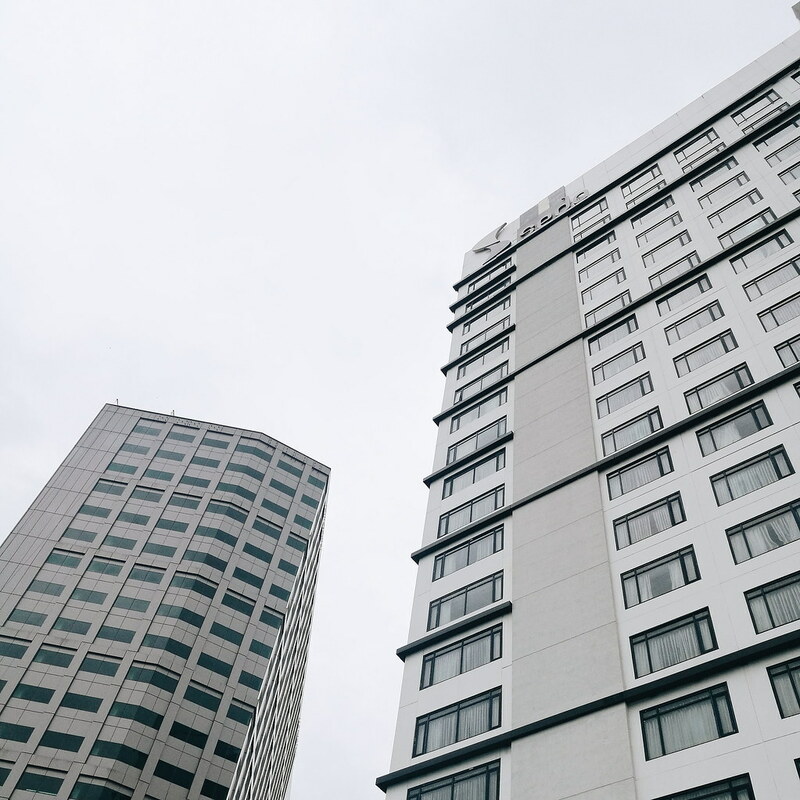 I had a really great experience at the hotel that I decided to create a separate post for it. 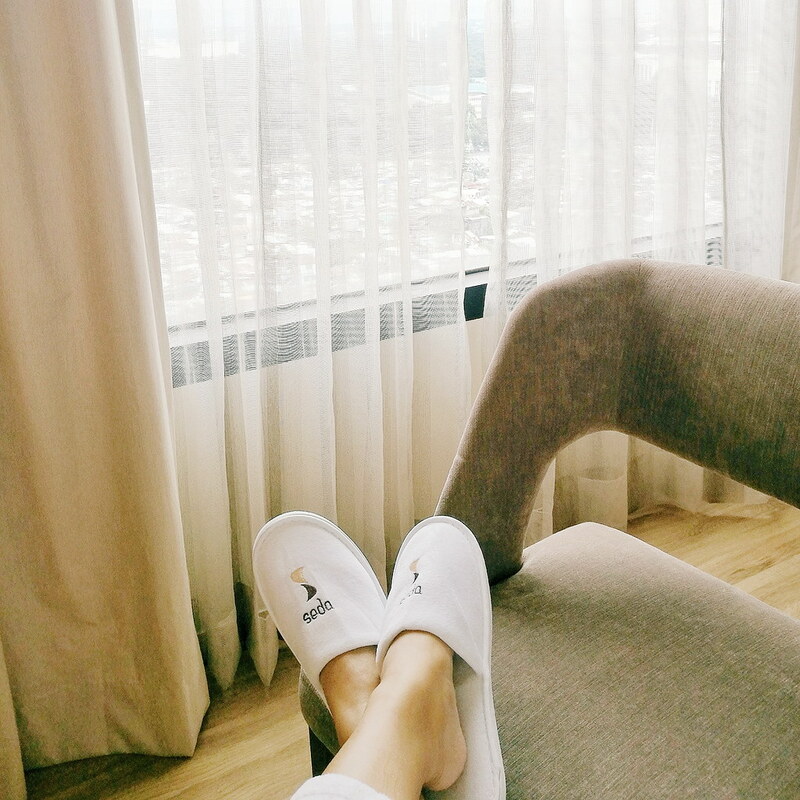 Read on to learn more about the hotel and to know if it's a yay or a nay for me. First things first, Seda Vertis North is located at Astra Corner Lux Drives, Vertis North, Quezon City. We only traveled an hour and 15 minutes from NAIA Terminal 4 going to the hotel. We arrived at the hotel around 10AM and we approached the front desk hoping that we will be allowed to check-in early. Thankfully, we were indeed allowed an early check-in so we excitedly went up to check our rooms. 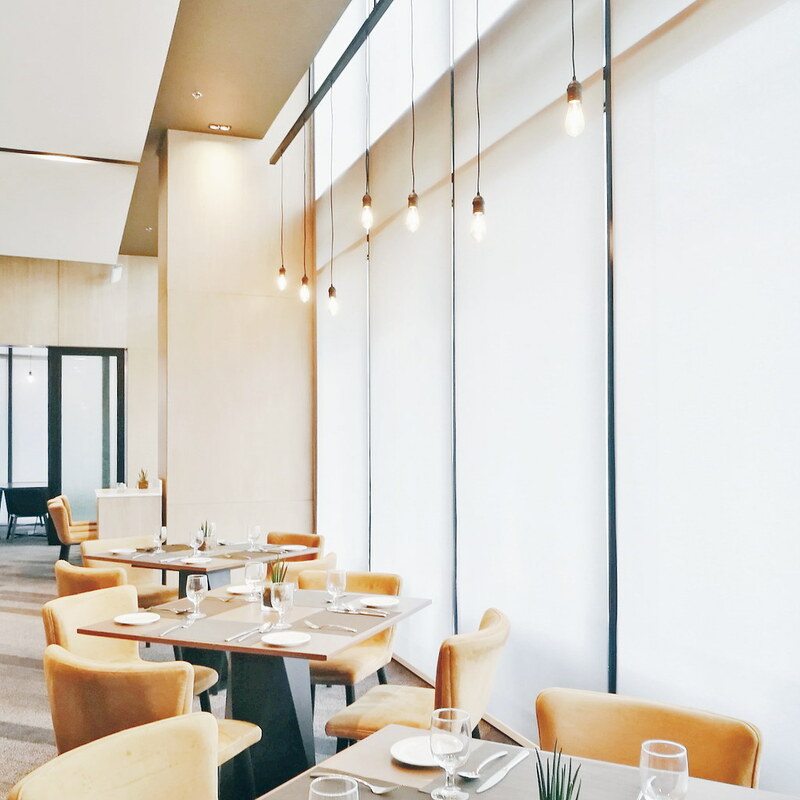 One thing I loved about the location of Seda Vertis North, is it's just beside the newly-opened Ayala Mall Vertis North so we didn't get worried on thinking where to wander around on our first day. 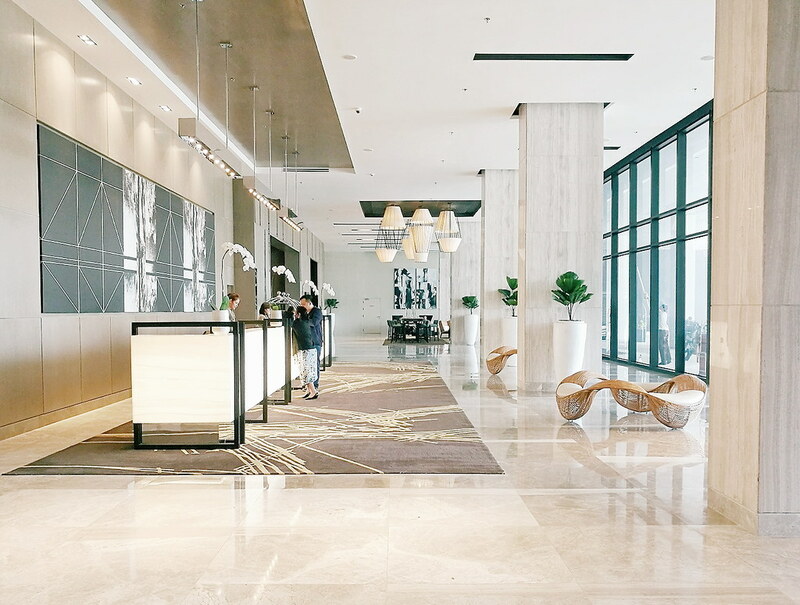 I have to say that the lobby of Seda Vertis North is one of the biggest and one of the most magnificently-designed lobbies I've ever seen. Plus they had really beautiful installations and interior pieces strategically distributed all around the area. 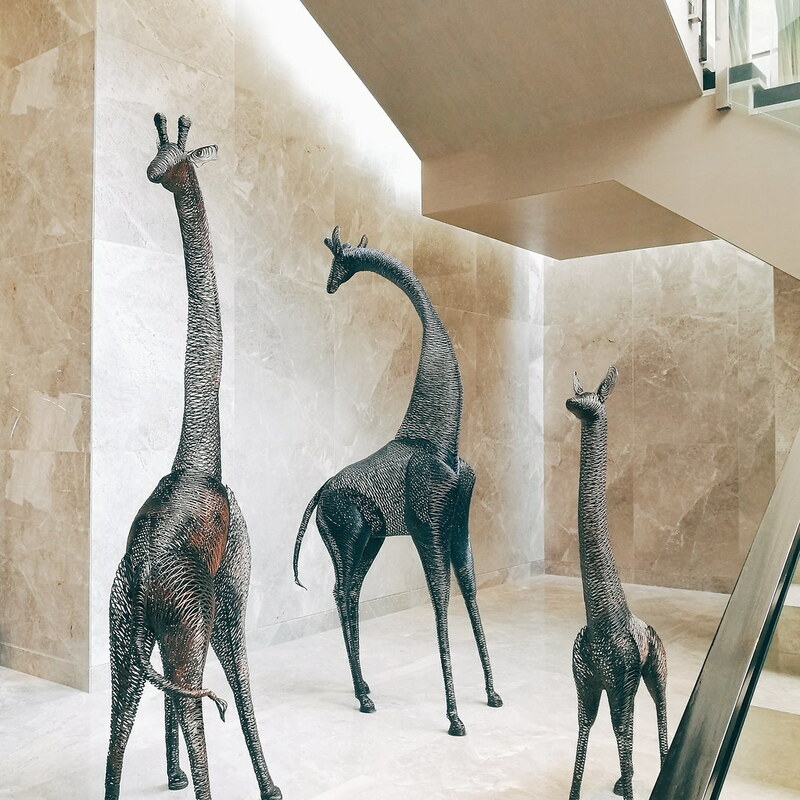 Also, I love that whenever we go in and out of the hotel and pass by the lobby (of course), we are greeted nicely by at least one or two of their staff. And another amazing thing at Seda Vertis North, is they have four Mac computers with high speed internet available for use for all of the guests! Of course, I did not miss the chance and tried Facebook-ing and checked my work emails at one of the computers. LOL. I am a morning person and my day will never be complete without having breakfast. And whenever I stay in a hotel, I always look forward to their breakfast meals or buffet. 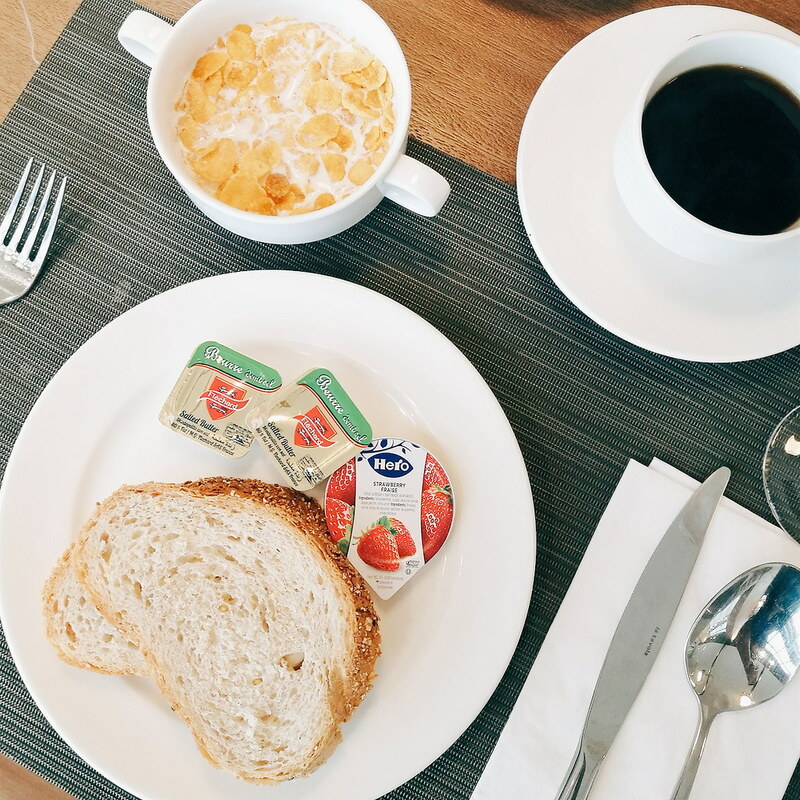 For me, one of the factors I consider when "reviewing" the hotel is their breakfast food. If a hotel serves amazing breakfast meals, then they would surely serve delicious food for lunch and dinner. That's just for me though. So anyway, I was able to experience Seda Vertis North's breakfast buffet twice and it was the bomb. It was definitely the highlight of my hotel experience! Haha. Their hot chocolate is one of the best and their buffet spread is just pure heaven. Trust me, you'll have a hard time choosing which one to try first because there are really a lot of options to choose from. 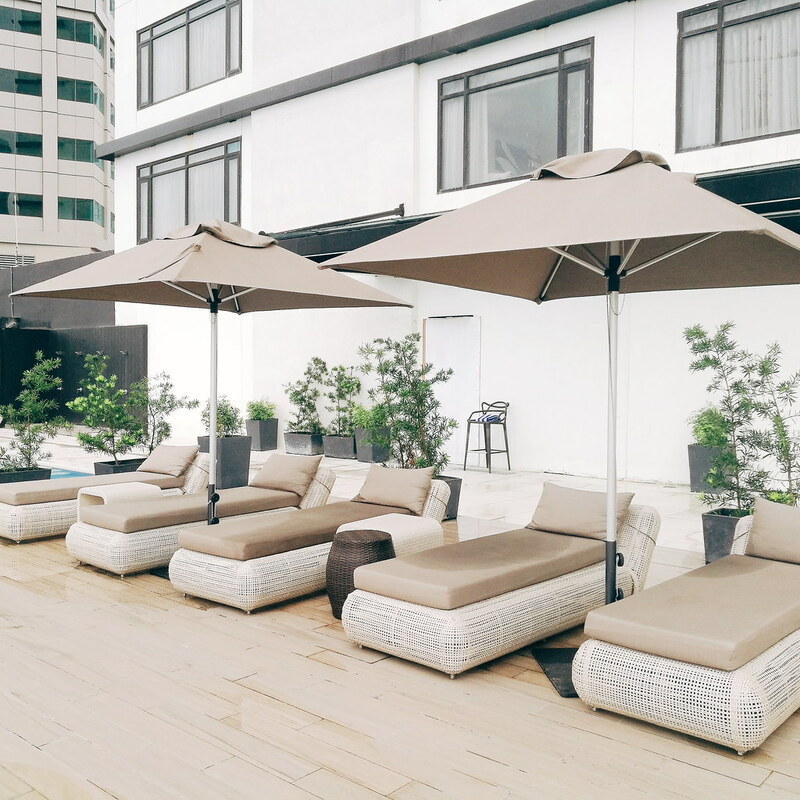 Though I was not able to take a dip in their swimming pool, I loved Seda Vertis North's pool area. 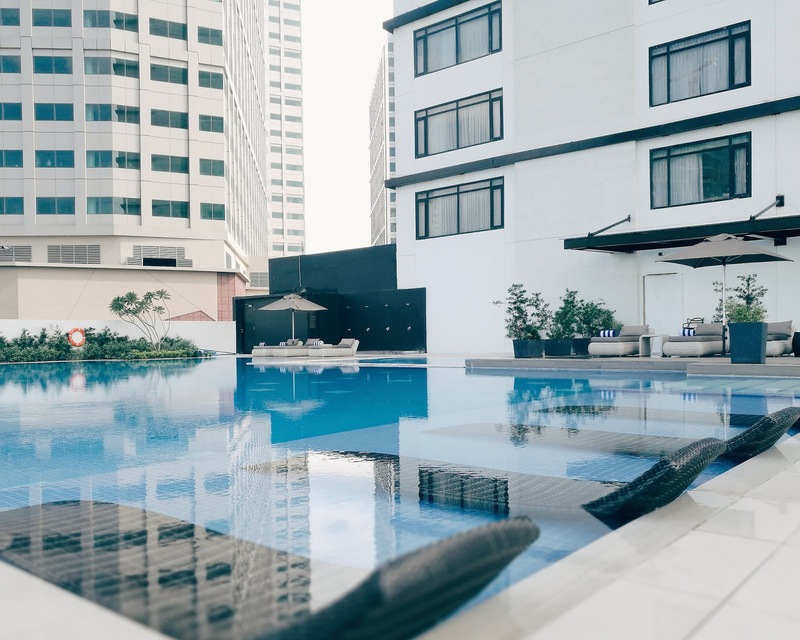 It was because of David Guison's Instagram post that made me really want to check out their pool. Though the deepest is only 4-feet, the pool is wide enough for the guests to enjoy. 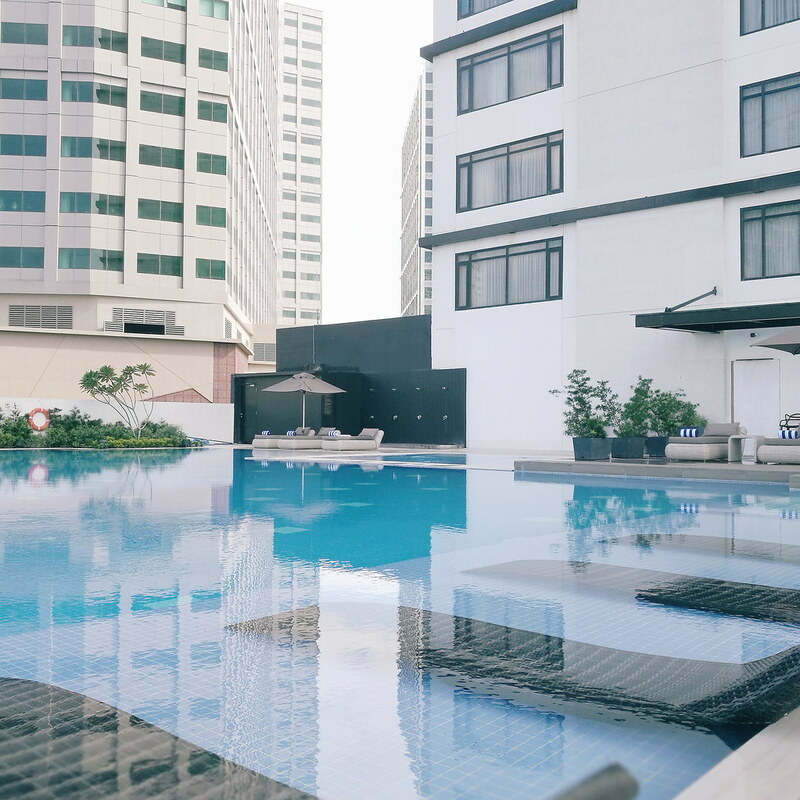 The pool area is located at the third floor and will give you a nice view of the city as well. Finally, the rooms. 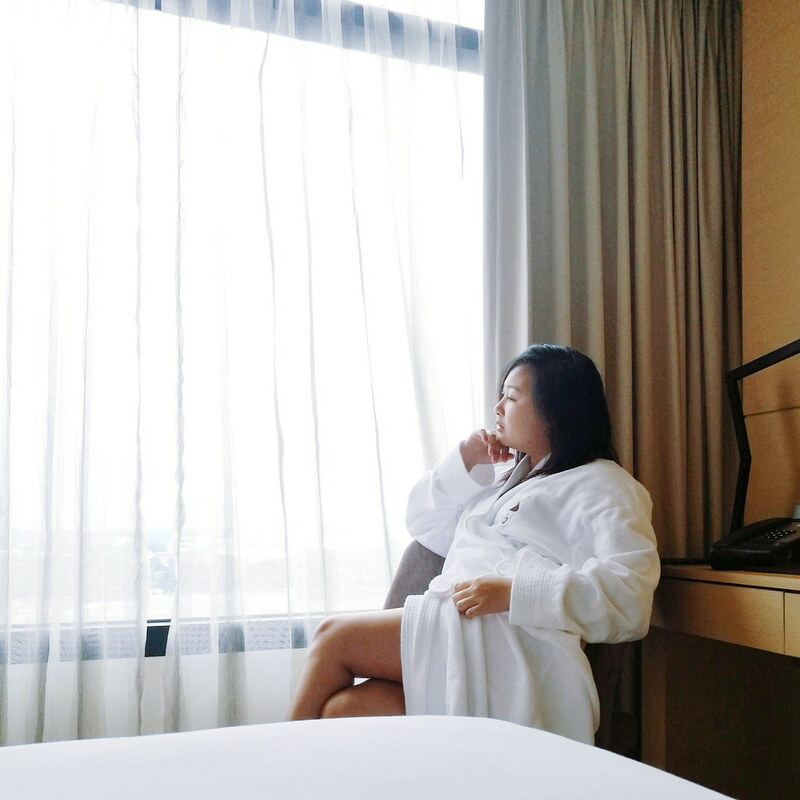 We stayed in Seda Vertis North's deluxe rooms where we treated it as our home for three days and two nights. Their deluxe room is a 32-sqm area equipped with nice in-room amenities such as 42-inch LED HDTV with cable channels, IDD phone with iPod dock, alarm clock and FM radio, mini bar, safety deposit box, coffee and tea-making facilities, executive desk, and very fast wifi access. I also shared the room with Pamela, the Integrated Marketing Communications Specialist of WWF. 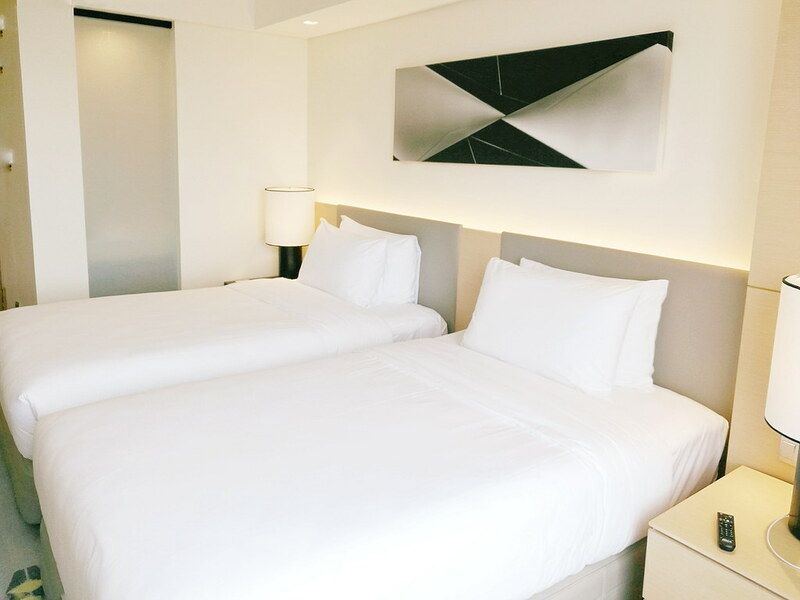 Overall, my hotel experience at Seda Vertis North was really remarkable and I hope that I can stay there again someday. 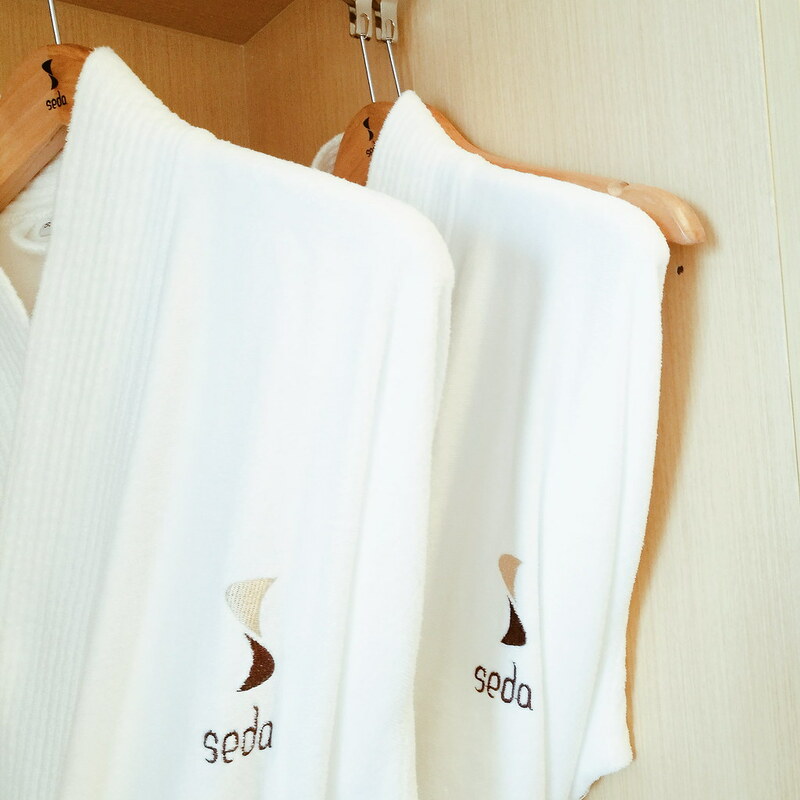 From the facilities, amenities, services, food, and the staff, everything at Seda Vertis North will make you say that it's all worth every penny! Disclaimer: This is not in any way sponsored by Seda Vertis North. I wrote this post to provide an honest feedback of my experience during my stay.